I just published another the 12th issue of Myth & Matter, here it is in case you haven’t subscribed yet. Derek Sivers has published more of his “directives.” Short, often controversial, statements on how to live. It’s unsourced, unexplained and distilled advice. For example “Do not be the starving artist, working on things that have great personal value to you, but little market value. Follow the money. It tells you where you’re most valuable.” I hope this type of list becomes a trend. It’s what inspired me to post my list of values and he links to this list by Cheryl Engelhardt of her directives. How can you review a rap album so exclusive almost no one will ever hear it? Dan Cohen has a fascinating take on Wu-Tang Clan’s “Once Upon a Time in Shaolin” and, more generally, on the mystery and beauty of the secret and ephemeral. 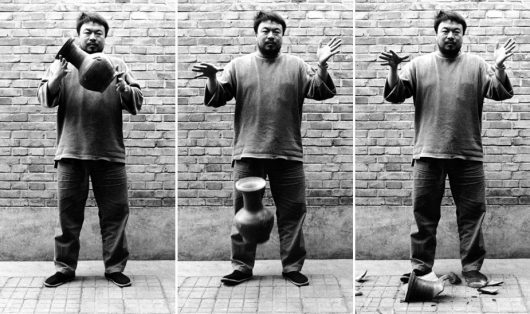 He compares it to Ai Weiwei and his broken urn. Science has problems. Paper after paper is being retracted after results can’t be reproduced. FiveThirtyEight writes about how this might actually be moving science forward. Andrew Gelman, a statistician at Columbia University, is more pessimistic and says it’s time to basically declare bankruptcy; that “Everything published before 2016 is provisional.” It’s a big, embarrassing problem that’s not going away any time soon. I recently read Magicians of the Gods by journalist and amateur-of-many-years archeologist Graham Hancock. He proposes the existence of a civilization with advanced science and agriculture that existed before 9200 BC. He theorizes that this civilization was destroyed, but managed to pass along some of its knowledge via messengers or “magicians,” to help jump-start future civilizations. His work is controversial but mostly level-headed and, without a doubt, very interesting. Slate Star Codex is one of those sites where you can lose yourself for hours in a fantastic rabbit hole of everythingness. Not to be missed. The author, Scott Alexander, is also writing a serial novel called Unsung. It’s about what happens after an Apollo rocket crashes in to the ceiling of space and cracks it open. It’s first-rate science fiction. A couple IQ related links: Dogs have their own test now. Tall people are more likely to have a higher IQ. With the recent confirmation of their existence by LIGO, gravitational waves are back in the news. I’m looking forward to reading Black Hole Blues to understand the significance of the discovery a bit more. It had been awhile since I read Roald Dahl. I read Charlie and the Chocolate Factory and Charlie and the Great Glass Elevator to my son and rediscovered how refreshing his writing and how bizarre his plots are. I’ve been reading, and really enjoying, Altruism by Matthieu Ricard. It’s a good answer to proponents of selfishness ranging from Dawkins to Ayn Rand. And, as with most things, the Internet has taken altruism and made it weird. At work we’ve had a lively discussion of the guaranteed minimum income. It’s an idea that has been loved and hated by people on all points of the political spectrum. Some think it could bring about another creative or entrepreneurial renaissance. The idea has been seriously explored in the UK, Canada, Switzerland, New Zealand and now in the USA. Others think it would only increase global poverty. The painting in the header is Mystical Conversations by Odilon Redon. Please forward this, visit my website or Twitter. Thanks for reading!